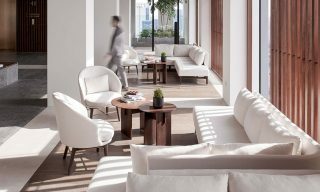 The 150-room property is designed to embrace the city’s fast-paced spirit and natural foliage, with signature dining and spa experiences to delight each guest. 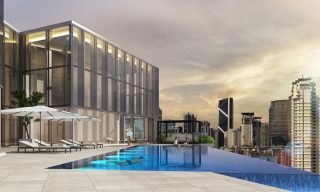 With the opening of W Kuala Lumpur, Malaysia finally welcomes its first W Hotel — a luxury boutique hotel brand shaped by trendsetting fashion, music, design, and more. Can’t wait to discover the stunning property for yourself? Here are five exciting highlights. Keep an eye out for the distinct design feature of the pixel – or dot, which is cleverly integrated throughout the hotel. Set in the pulsating capital city of Malaysia, W Kuala Lumpur is designed to embrace its fast-paced spirit and natural foliage. Guided by the idea of a “jungle city” and “confluence”, the hotel is an inexhaustible mix of colors, as well as aromas and sounds that blend together seamlessly. 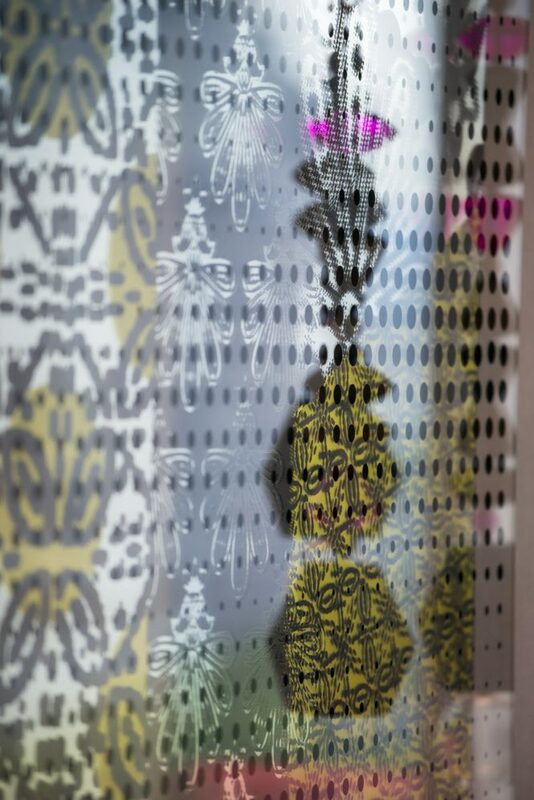 Keep an eye out for the distinct design feature of the pixel – or dot, which is cleverly integrated throughout the hotel, and used to create a bigger picture, as inspired by the country’s multicultural heritage. Be spoilt for choice by 150 stylish guest rooms and suites. Be spoilt for choice by 150 stylish guest rooms and suites, which includes two WOW suites and the Extreme WOW Suite — the latter being the brand’s lavish take on the traditional presidential suite and comes with a living space of over 520 square meters. 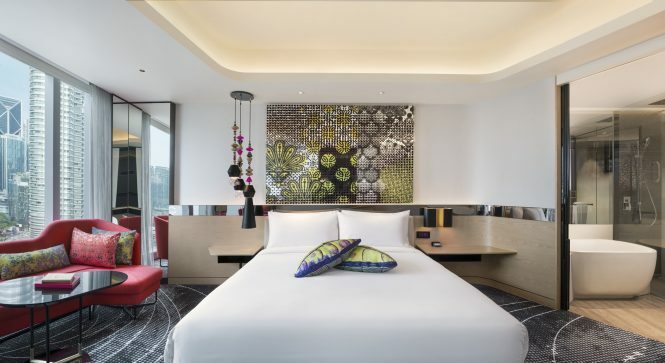 All of the rooms and suites embody the Jungle City narrative, teaming W essentials such as W signature beds with local accents like the indigenous bedside chandeliers and batik motifs. After a hard day’s work, why not make a beeline for the Away Spa? After a hard day’s work, why not make a beeline for the Away Spa? Guests can look forward to experiencing massages and treatments, vitality pools, chroma-therapy steam baths, bio infrared saunas, and the hotel’s signature tropical experience showers. For complete head-to-toe pampering, head to the Beauty Bar for manicures and pedicures, as well as hair and eyelash extension services. Gym goers can sweat it out at the hotel’s FIT gym, which features state-of-the-art equipment and views of the city skyline. 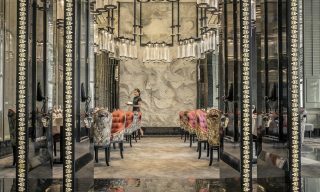 All W Hotels have a unique approach towards local cuisine and W Kuala Lumpur is no different. Head to Yen for traditional Cantonese cuisine or dine at Flock for a taste of modern Australian cuisine built upon food sustainability. Bar bites and cocktails await at Woobar, the perfect social space to chill out with family and friends. For great views, hang out at the Wet Deck, which offer breathtaking views of Petronas Twin Towers. Located within the hotel are also two privately-managed dining and entertainment venues. Saint Pierre is a 70-seater modern French eatery helmed by Chef Kim Kevin De Dood, which will feature the Michelin-starred cuisine of celebrity chef Emmanuel Stroobant and his talented team. When night falls, check out Wicked, the hottest VIP club in Kuala Lumpur. 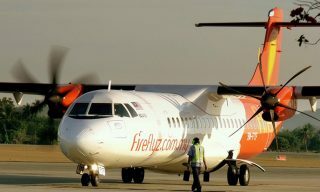 For great views, hang out at the Wet Deck, which has breathtaking views of Petronas Twin Towers. 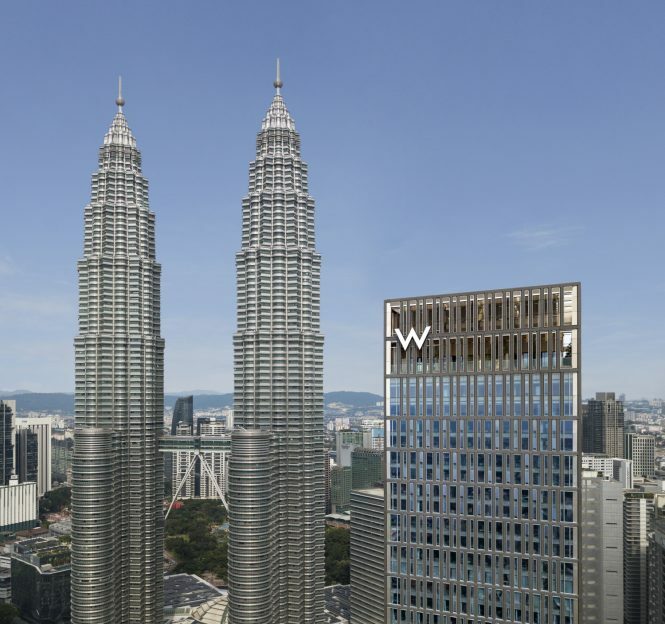 To celebrate the debut of W Kuala Lumpur, guests are invited to experience W with the signature Whatever/Whenever experience, with rates starting from US$207 per room per night. 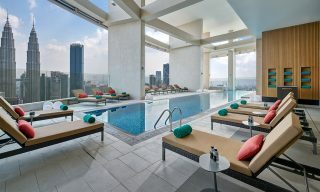 This article was brought to you by W Hotel Kuala Lumpur.